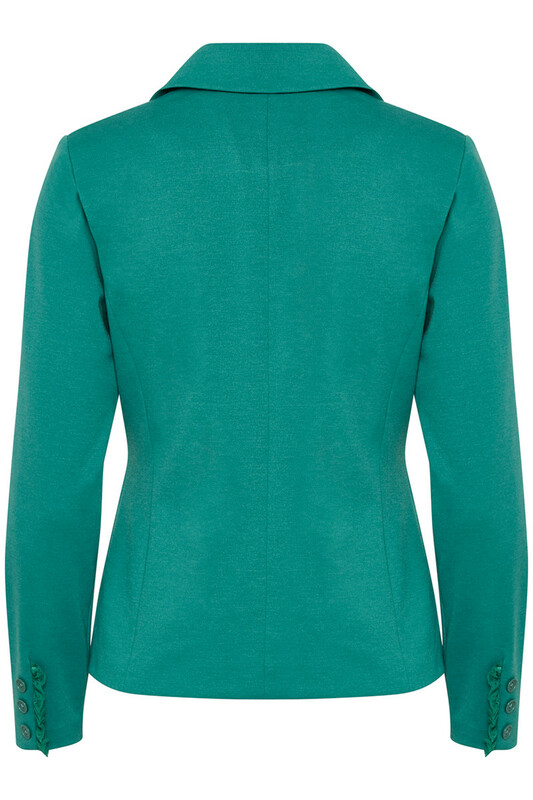 Classic blazer with a feminine touch from Cream. The blazer has two front pockets with cute lace ruffles, shoulder pads, long sleeves with detail buttons and it has a regular fit. 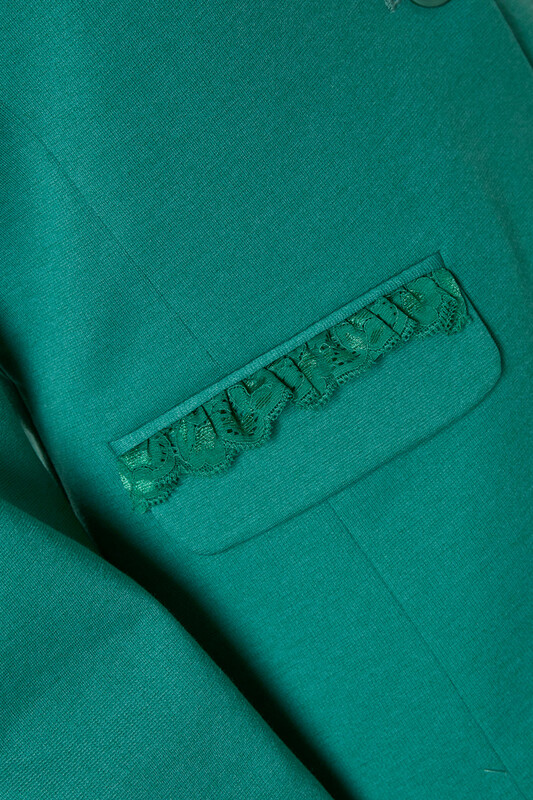 This comfortable blazer is timeless and can easily be used for both everyday use as well as festive occasions. Besides already mentioned, the blazer is light in quality and has a good stretchy quality. 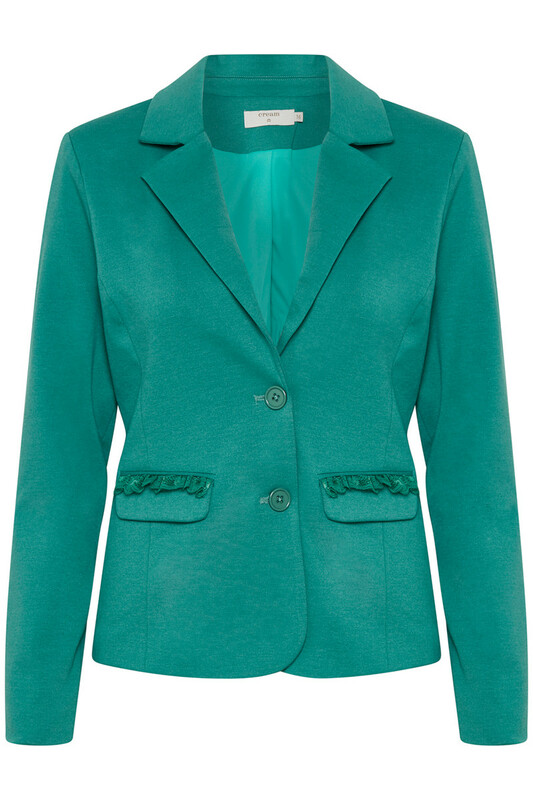 For a stylish evening look, you can style the blazer with an elegant silk top.